Attorney Hillary Rinehardt graduated from Ohio State University with a Bachelor of Arts in 1988. She then attended the Ohio State University College of Law and earned her Juris Doctor in 1991. While in law school, Hillary was a competitor on the National Moot Court team and a member of the Ohio State Law Review. She graduated in the top 25% of her class and became a member of the Ohio bar in June 1991. Hillary returned to the active practice of law in 2007 after pursuing a rewarding career in business and raising a family. 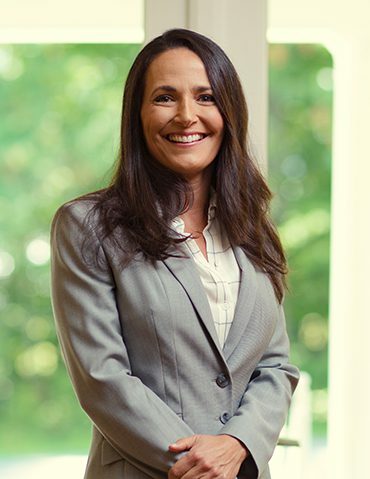 Since joining the practice, Hillary Rinehardt has participated in many major jury trials. At trial, Hillary provides a second set of eyes and ears as well as essential legal expertise. With Hillary’s participation, Rinehardt Law Firm has achieved many favorable verdicts for their clients. When cases go to trial, Hillary, John and Melanie go to court together to make sure the playing field is leveled for their clients. Hillary donates time and money to many local causes including Autism Awareness, Cystic Fibrosis Foundation, Pelotonia, and Team-in-Training. John and Hillary were the attorney advisors for Lexington local school’s mock trial team for six years. Hillary volunteers in the kitchen at Flying Horse Farms, a camp for kids with serious illness. Hillary enjoys cooking, yoga, and hiking.